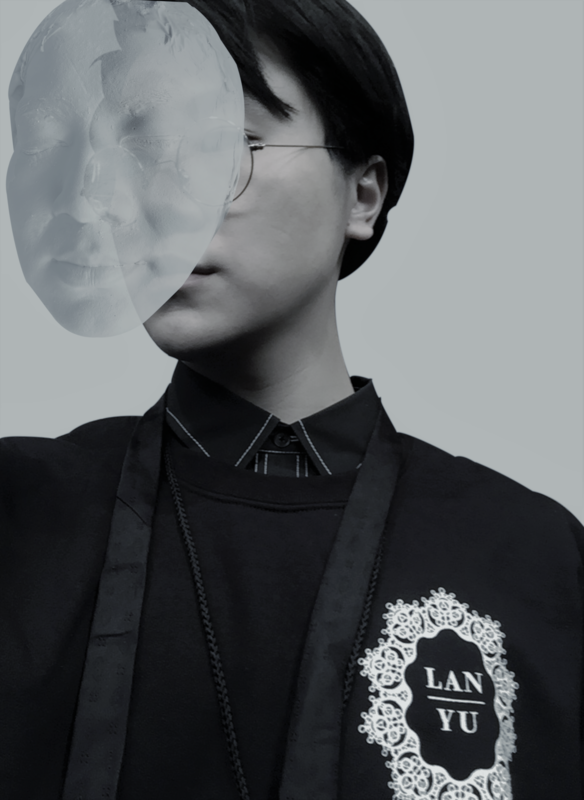 Tanghui Liao, he is one of the most promising fashion designer in China. He has tried many fields of art and constantly trying to create the new art design. 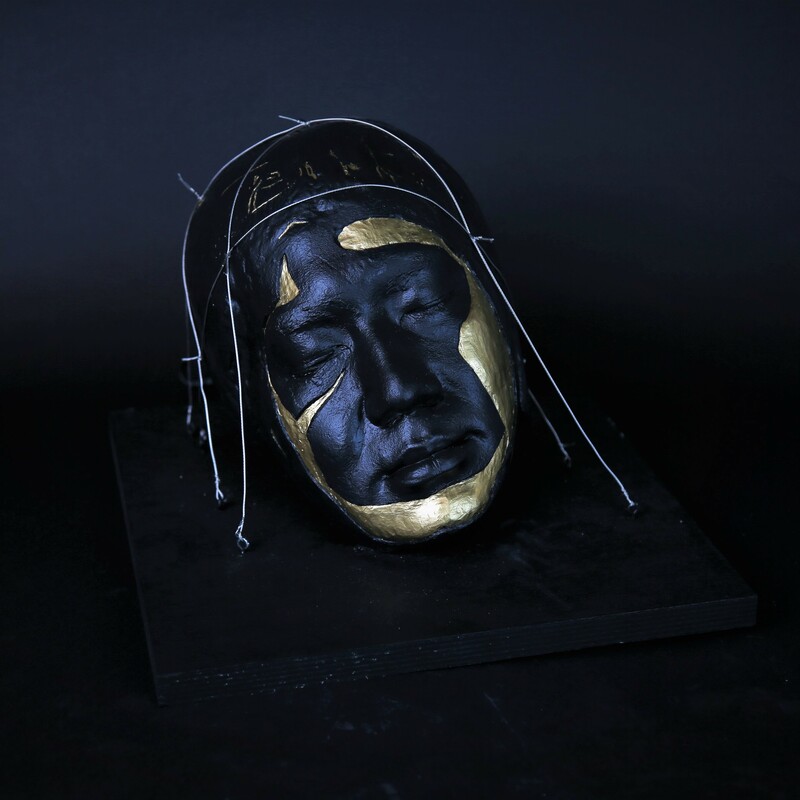 This project is inspired from a Chinese folk adage, people said the gold will shine anywhere. 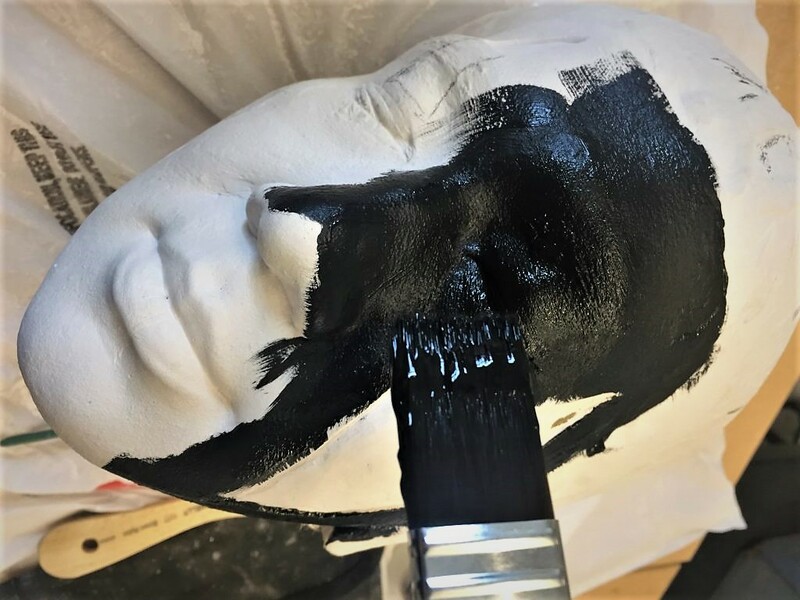 I painted black color on the most area of this plaster head and base. 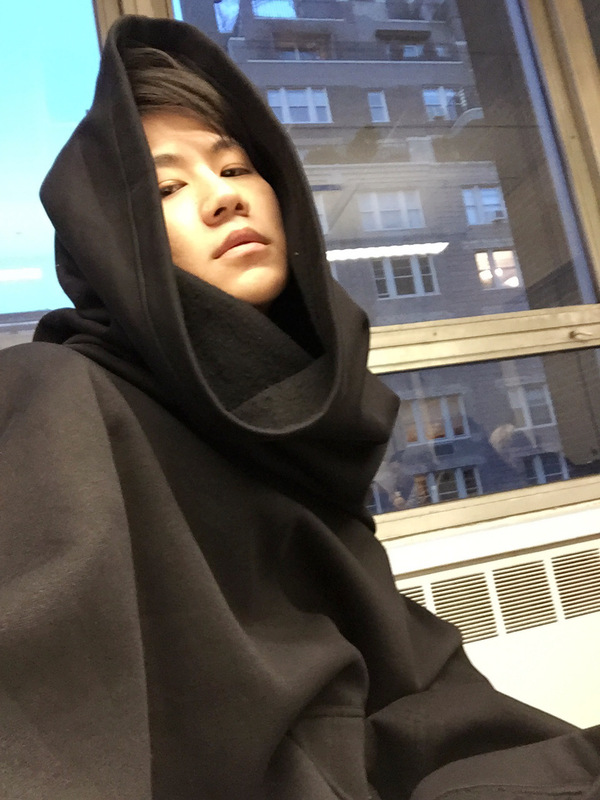 Black always connect with unknowing or mystery or even unrest, so I want to use black create an unknowing environment, just like where I stay in. A lot of social resources and competitions have led many talent people to be buried, and I can feel a deep sense of oppression. 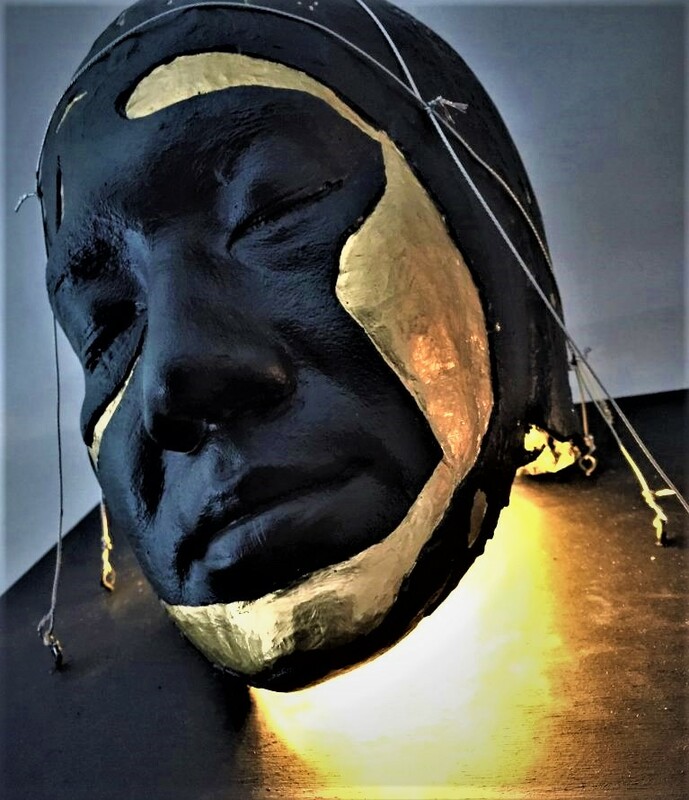 But under that coarse black skin, There is hidden inside the shiny gold, golden light break through the gap and shining out. 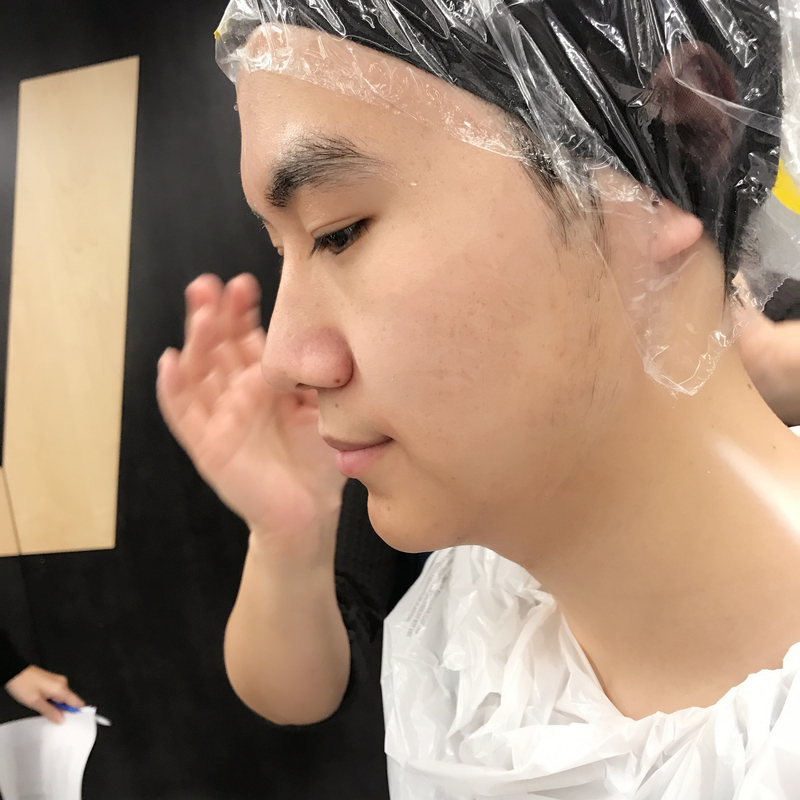 First to make the mold, I need to use my own head to make the mold, the whole process is done by my partner. 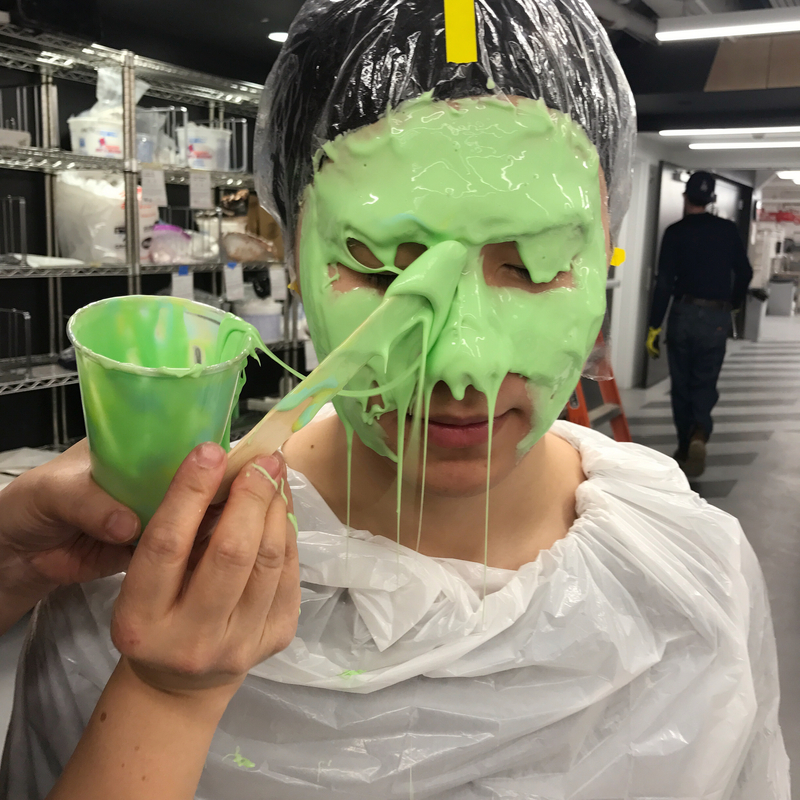 This step needs to apply two layers of dressing to my face, and then wait for them to dry, then my face mold is finished. The next step, wrapping around the wet gypsum cloth around my head. 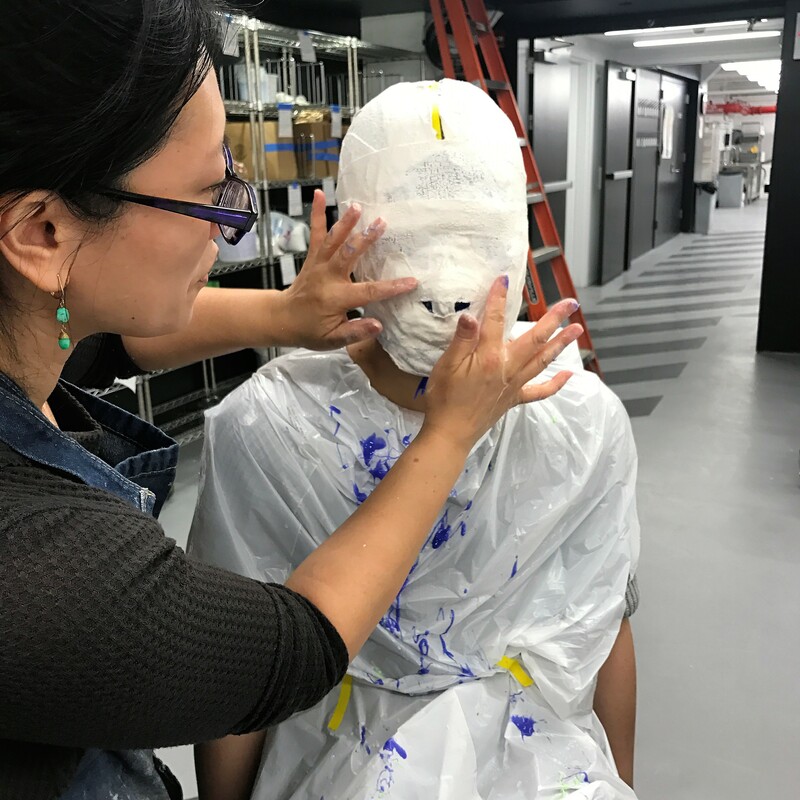 After it dry and take it off, the head mold also finished. 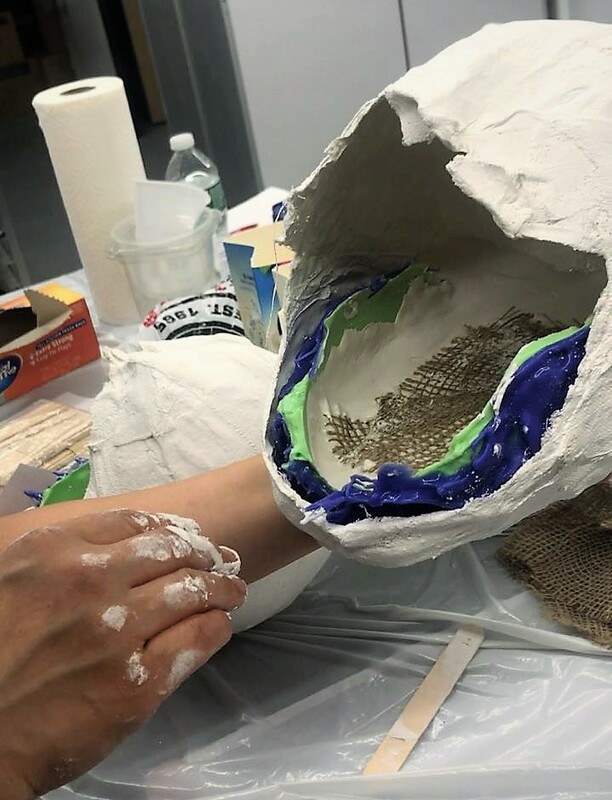 Put the face mold into the head mold, and then pour gypsum inside layer by layer. 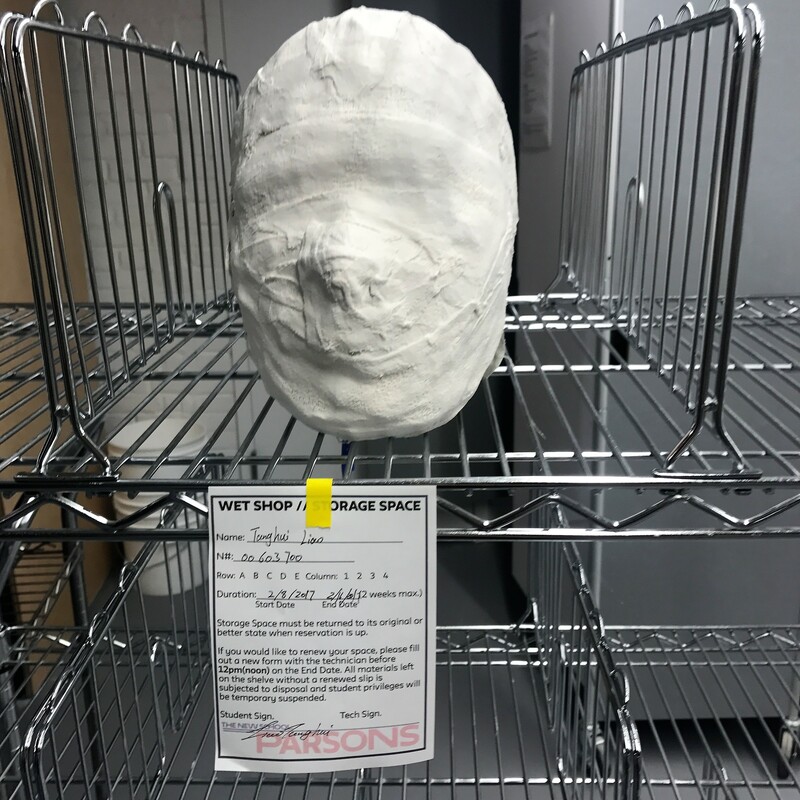 After one week, open that head mold, the gypsum head is finished. In the production of all processes are all orderly, and no accident occurred. But I may be too much to pursue the exquisite of model, so the processing speed is not fast, which led me to waste some of the material, but the final effect is very good. 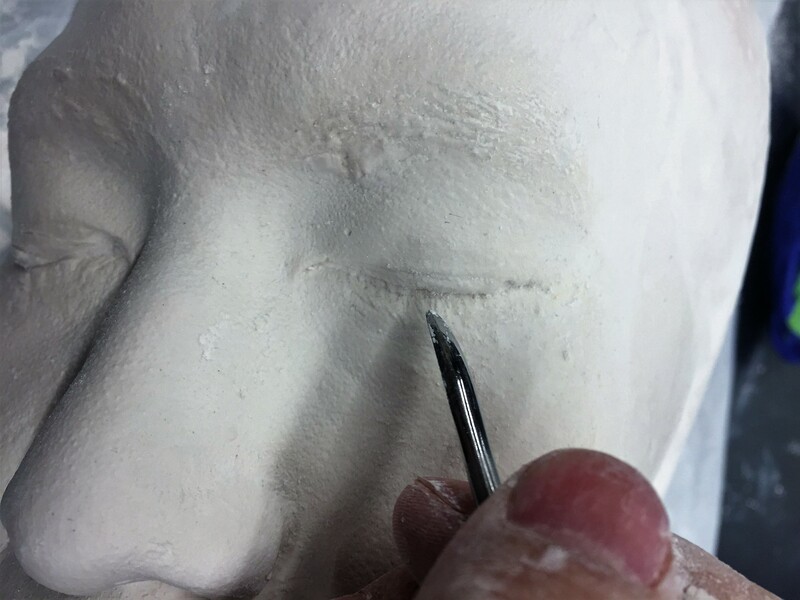 Polished gypsum head, and designed a carving method. 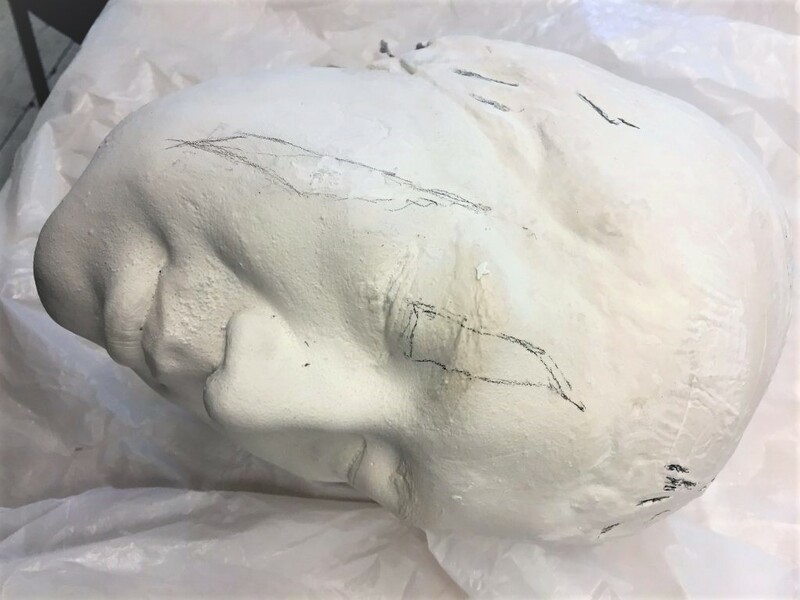 When I look at my plaster head, I actually feel some panic. 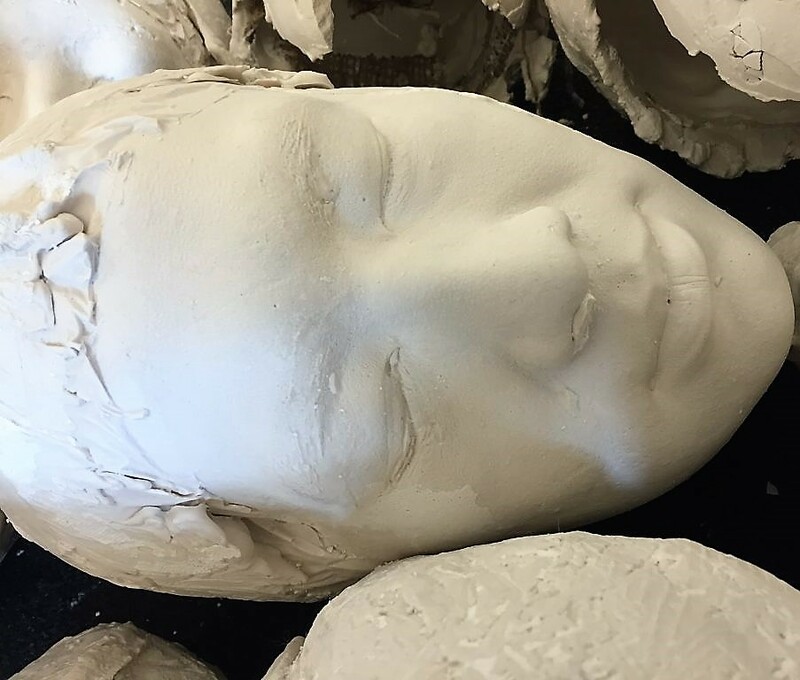 Because this plaster head done too realistic, my own head closed eyes and in front of me, it seems to be awake at any time. At the same time I also have a very familiar feeling, looking at this head is like looking at another me. 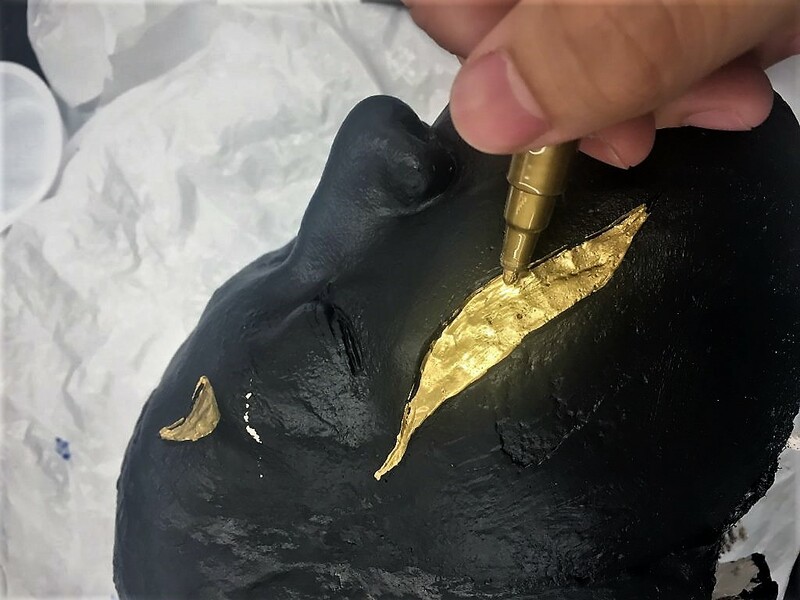 Painting the inside and outside of the plaster head to black and paint the carved part to the gold. 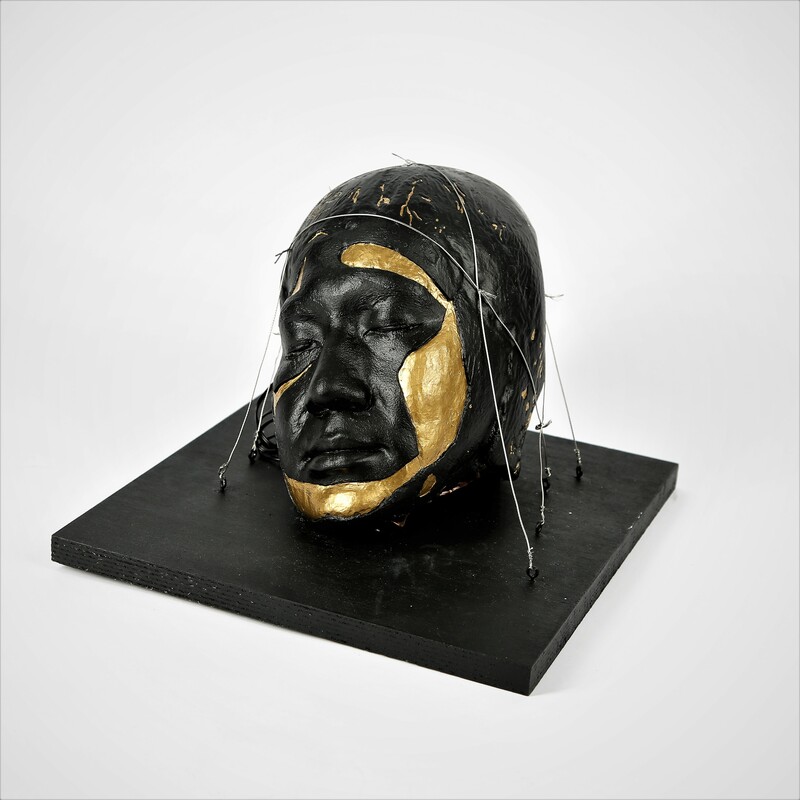 I think the face is an inherent mark, no matter what form it made by us, it ultimately will only connect to the owner. Whitewashing this face is whitewashing ourselves. From this process I learned that no matter how we decorate this face, in fact, are indirectly decorated myself. I think this is a really good work to represent my current state, I also injected a lot of effort in this work.